Online our store is open 24/7 for you. 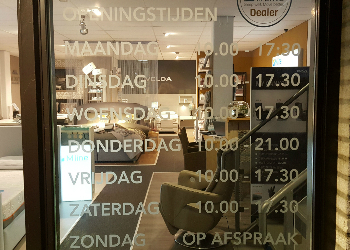 Our shop at the Middenweg is open Monday through Saturday and Sundays by appointment. Would you like to come over on a Sunday? Please call or email us! The Sundays when the mall Streekhof is open we are also open.